To understand the history and importance of Wollongong Road as it relates to Rockdale then you need to read James Jervis’ authoritative work Illawarra: a Century of History. The following extracts are taken from that document and Rockdale Its Beginning and Development by Phillip Geeves and James Jervis and revised 1986 by R.W. Rathbone. It should be pointed out that at that time the road to the South Coast was via Appin to Wollongong. Local settlers wanted a shorter route but at that time the “wild and desolate gullies beyond Port Hacking” had proved a deterrent to more than one unhappy traveller. And so the road went through. It had various names, sometimes Illawarra Road, sometimes Wollongong Road and, on very early maps, it appears with the grandiose title “Sir Thomas Mitchell’s Line of Road to the Illawarra”. Convict gangs built it, following the pegs that the surveyors had driven into the earth, keeping to the benchmarks that had been blazed on trees. The road began on the southern side of Cook’s River dam adjacent to “Tempe House”. It wound its way across the alluvial flat to the reverse side of the Knoll on which Arncliffe came to be built. From there it followed the ridge, the line of which is now Forest Road, and wended its way to the crossing of the Georges River at Lugarno. The surveyors had seen some glorious views, reminiscent of Europe; it is small wonder we now have suburbs with names like Lugarno and Como. When we drive from Arncliffe to Lugarno the winding road is a reflection of the primitive conditions under which it was first built. The immense number of age-old trees that were felled in the course of its construction can hardly be imagined; in fact it supplied the entire colony of the time with timber and charcoal for many years. 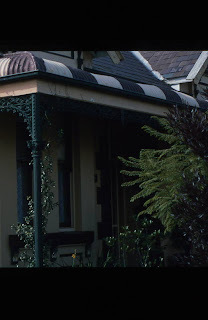 The photos are to make you curious, they are just a few of the buildings dotted along Wollongong Road, some have gone, others have not been touched in nearly one hundred years and others, have been lovingly restored by their owners. I hope this encourages you to walk your own local street and see just what is still there; you just might be pleasantly surprised. 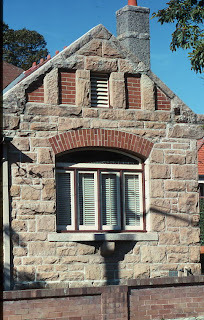 Situated in Sydney, stonemason Sydney or Outdoor Design Co. has been sufficiently favored to work with a portion of the city's most prestigious homes and areas. We are enthusiastic about conveying the ideal outside space to compliment your home and way of life.